But we all make mistakes like these as parents. When we see our words aren’t making an impact, we resign ourselves to homework being this hellish-hour. Here are the mistakes you might be making and how to fix them. When I see my baby struggle, I want to do anything I can to make it better. But, it will not help my child in the slightest. In fact, it’s harming our kids because when we step in, we’re robbing them of developing self-efficacy, the belief that they can conquer problems all by themselves. It’s a mistake I readily admit that I made with my daughter when she was younger. However, with my son, I stopped myself from stepping in. Last week, he brought home a “family homework assignment” – and can I tell you that when I see his teacher assigned me homework, it ignites feelings of rage. But, I remain calm. Because as soon as I saw the assignment, I knew I needed to limit my involvement. His assignment was to build something that floats. Thankfully, I help my high-achieving self back. What can you think of that floats? Why do you think it sank like that? He created this hollow ball pieced together with strips of paper and glue. I never would have done that! Yes, I’ve been there. We’ve spent many homework sessions wasting the first 20 minutes searching for a pencil. 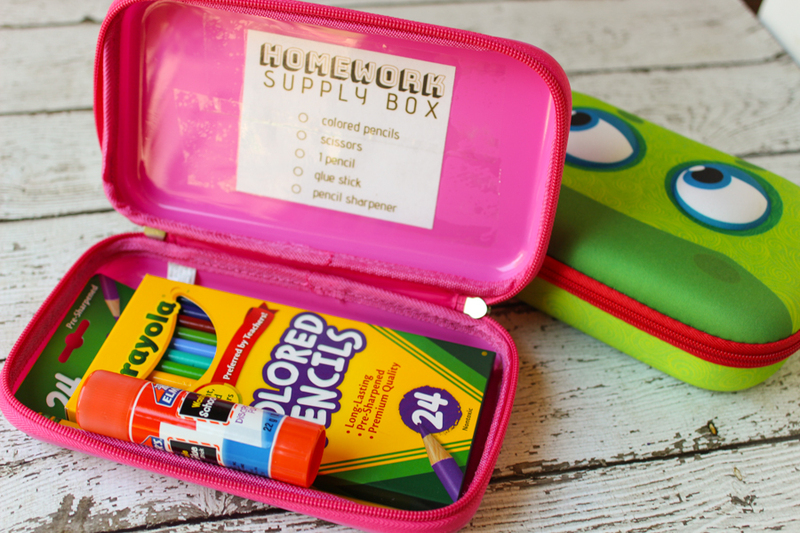 A homework box – one for each child – has saved so much time. Plus, there are no fights over supplies. We watch our kid let every little distraction get them off task. They sit down for a second and then jump up for a glass of water..
…or they forgot their book in the other room. …or need a quick snack. It’s enough to make even the most patient parent lock herself in the bathroom with a pint of Ben & Jerry’s. What we don’t realize is that our brains are like muscles. The more we practice a task, the more those specific task-related neurons fire and create all these little pathways through our mind. 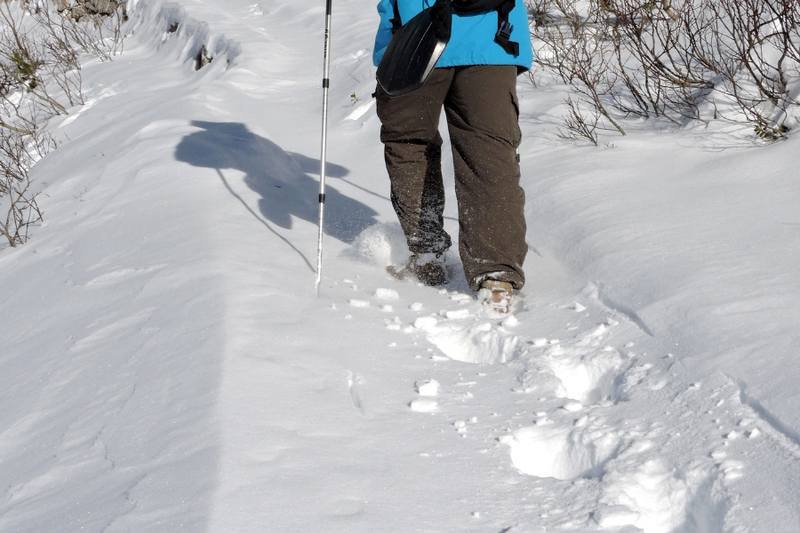 Think of walking through fresh snow. Sure, the first time might be difficult – picking up your feet each time and lugging through. Then, another person comes along and sees a path already made. Instead of pushing through and forging a new path, they take yours and their walk through the snow becomes infinitely easier. This is what happens when we practice a new task. Our brain creates a new pathway and each time becomes easier. The same with kids and focus. Set a timer for 2 minutes and have your child work steadily for ONLY 2 minutes. Once they’re successful, gradually increase the time. You’ll witness your child’s brain creating her own pathway through the snow. Yes, our kids are tired after school. So, we let them sit down and watch TV or we tell them to immediately start their homework. We start nagging our kids as soon as they walk in the door until they go to sleep at night. Even though we haven’t intentionally set a routine… that’s the routine. 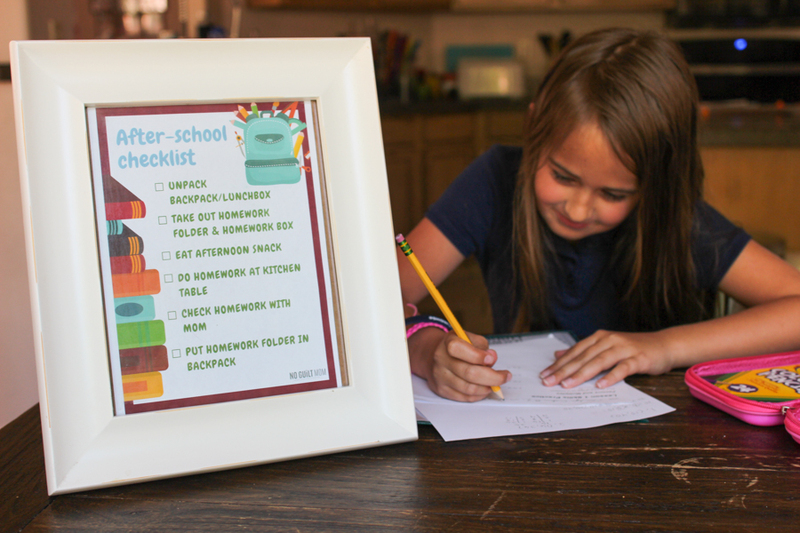 Instead, sit down and ask your kids the order in which they want to get stuff done after school. Write it down and post it. You’ll do less nagging and have a much happier evening. As a former teacher, I admit, I assigned WAY too much homework. AND… I didn’t expect my students to do all of it. I know, really faulty reasoning, but there are so many different abilities in an elementary school classroom. Kids develop on differing schedules. I may have had one student who could focus like a champ while another experienced success in simply completing the math worksheet. Plus, not every kid needs practice in every subject at home. In our home, we regularly the timed reading requirement. 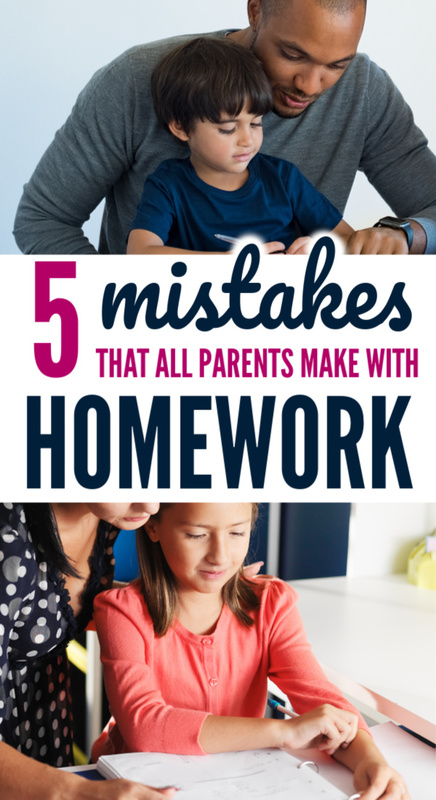 And frankly – if we’re short on time and homework has been a struggle – we skip any piece of work that can’t be verified. This may make you feel shady, but realize that as kids workload increases throughout school, they must make priorities. It’s OK to do the bare minimum. 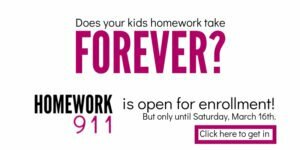 Forcing our kids to give 100% on subjects that don’t interest them just doesn’t make sense – especially when motivation and homework completion is an issue. But mistakes are all a part of learning what works and what doesn’t. By letting our kids struggle more, allowing them fewer excuses and leading them to love learning, we can be confident that we’re teaching them responsibility and helping them succeed. AND we reduce the time we spend in the closet with a glass of Cabernet.